Impact mapping is a technique that helps answer that very question. Through a series of simple, easy to understand questions, it takes an organization or an individual on a journey that systematically helps define the immediate and long term roadmaps. The process begins with having a straightforward, clear and quantifiable goal; which I have found to be a rarity. Although impact mapping seeks to answer the question of what path to take, it also forces the question of what is the goal and why. During my sabbatical travels in 2012, I was asked to help a non-profit organization with their strategy and roadmap. The Wataneya for the Development of Orphanages, based in Cairo, aims to raise the quality of care standards within orphanages to provide a safe and healthy environment and enable orphans to be integrated into society. The idea of helping such a fantastic organization, coupled with my desire for a challenge, compelled me to accept. This was a great opportunity to use impact mapping (formally called effect mapping). I had been exposed to the idea earlier in the year by Gojko Adzic, author of Impact Mapping. After having used it a number of times to help product owners, I was impressed by the technique’s simplicity and lack of jargon. I decided to run a workshop using this technique. I was eager to see if a technique that works for product backlogs at a large investment bank could work for the strategic roadmaps of a non-profit organization. Before we began, I spent some time with a few of the members of the executive committee, taking them through the proposed agenda and, specifically, the impact mapping technique. It has become a habit of mine to always “road test” an idea with a friendly group ahead of the actual workshop. This helped me to understand what aspects of the technique would work and what wouldn’t work in this situation. I asked the leaders to invite members of the entire organization to a two day workshop. This included members of the board of trustees, the executive committee, the people on the ground, as well as some orphans. This last request made everyone pause; the board of trustees will meet with people on the ground as well as orphans for an organizational strategy workshop? I felt it was vital to bring everyone in from top to bottom to get all necessary perspectives. It has been my experience that strategic workshops usually do not include those who understand the detail or the realties on the ground. On day one, I started by asking everyone to write down the goal of the organization; in other words, WHY did the organization exist? I wanted everyone’s answers on paper because I didn’t want the answers of the board to affect the answers of those on the ground as well as the orphans. I did this for a number of reasons: I wanted to demonstrate immediately that the organization was not aligned. But also it was to signal that everyone would participate in this workshop and that everyone was a first class citizen of this workshop. An impact map is very similar. Everything is geared at reaching the destination in the easiest and shortest amount of time. The route is the set of activities that will get us to the destination. The compass/measurement tells us if we are headed in the right direction. We would work together over the next two days to construct a roadmap for the organization. Impact mapping uses a simple mind map to bring all of the above together. The mind map’s visual nature lends itself well to collaboration. What will the organization achieve in five years? Using divergent thinking patterns, I split the room in two and made sure that the two groups had equal representation of the organizational stack. Using the Pomodoro technique, I gave them 25 minutes to define the SMART goal. This kept the energy high. After a number of cycles of independent goal setting, two clear goals emerged. People were content and satisfied...but this didn’t last long. I then took one member of each team and asked them to join the opposing team. 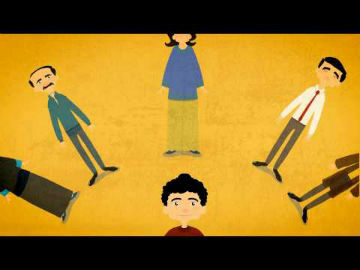 I told them that they are meant to play the role of the psychiatrist and ask five why’s. Five why’s is a simple technique designed to uncover the real underlying goal or motivation. This was indeed much harder and far more frustrating, but that is when the magic happened. Both teams arrived at the same place. 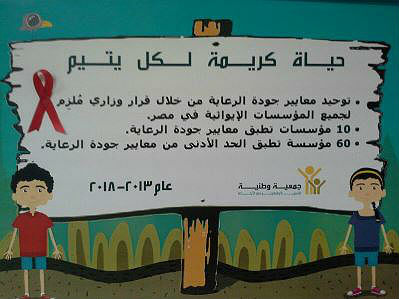 The five why’s uncovered the real vision of the organization: To create a decent life for all orphans in Egypt. I was not planning on defining the vision of the organization, it just emerged organically. If one of the map’s components is the compass, then what can be more important for defining that compass than a clear vision of where the organization should be headed? 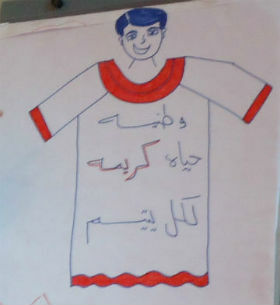 One of the participants drew a young boy and wrote the vision of the organization. This man was not one of the executive committee or board but one of the everyday workers of the organization. This was a vision that he was part of crafting and not something handed to him by the “higher-ups.” It was a powerful learning experience for me personally. This boy, named Karim (Arabic for dignified) would later become a major part of the marketing material for the organization. At this point, I asked each team to present their original goals to the room and asked them a simple question: Which of the two goals gets us closer to the objective? After much debate, both goals were scrapped and the wind was sucked out of the room. It was time to try something different. I asked everyone to sit back down, and take a moment to independently fill in the goal statement using the vision statement as a guide post. As each person submitted their goal, we used the decider pattern (see appendix) to decide whether or not to include it as a five year goal. This crucial process took a while but everyone was heard, and a lot of very good ideas emerged. After going through the room and hearing what everyone had to say, we had three goals that everyone had agreed to. But we had not reached that “QWAN” moment: the moment where everything clicks. It was time to break for the day and let everyone sleep on it. The next day started with a review of the vision and the three goals that had emerged from the previous session. Now it was time to provide measures for those goals and complete the compass. The baseline or where are you now? How will you prove that you met the goal? What is the failure point? After setting up three flipcharts with each goal, I brought out the Pomodoro timer and told everyone that we will have 3 cycles. At the end of each 25 minute time box, everyone in the group will move on to the next goal, clockwise, and continue to work on the next goal’s measurements. They would need to leave one person behind to explain to the new group what the old group had done. By having all the groups work on all the goals, it ensures no group develops a strong affinity to any one goal. At the end of three cycles, something happened. When forced to provide measures, the goals changed. There was a lot of positive chatter in the room. We merged again and discussed the output which turned out to be very fruitful. As the groups were trying to come up with measures for the goals, they realized that their understanding of those goals differed dramatically. For the next two hours, conversation flowed freely and passions flared without regard for time. Then it happened- three clear, distinct five year goals emerged. There was QWAN. After two long days, the map was starting to emerge. We had a vision and a strategy: three clear, agreed upon goals with measures. At this point, the destination was clear with the compass pointing the way. But we still didn’t know how to get there. This is where the impact mapping method shines. It answers the question: what is the highest impact, least effort method of arriving at the goal? I took one of the goals and led them through the series of questions that the impact mapping method asks. One goal was to get a law passed requiring all orphanages to adhere to the minimum quality standards defined by Wataneya, within five years. I asked the room who could help or hurt this goal. The group seemed unsure of why I was asking this and wanted to jump into the next step, the projects/activities. I explained that the reason we ask ‘who’ is to uncover a stakeholder that we would not have otherwise thought of. It helps us think outside the box. Then the roles started flying at me: celebrities, politicians, etc etc. Next, I asked them to dot vote. Dot voting is a wisdom of the crowds approach where you give everyone in the room a number of dots to use as they please. What was very interesting was that the final roles people thought would make the most impact had nothing to do with government or politics, as they had originally thought. This was precisely my point. By asking this question and having everyone vote, it became clear to everyone that their original assumptions were not valid. We turned to the question of what projects would move us towards the goal. All the while, I kept asking the same question: what is the highest impact/least effort activity we could engage in. People were getting sick of my asking this question, but I wanted it imprinted in their thought process. We came up with two projects, both of which nobody would have ever originally considered. On the final day of the workshop, we focused on defining the path. I created three working groups to repeat the process we had gone through in determining the goals earlier. Pet projects and existing projects started making their way onto the map. But then, more magic happened: people would ask, is this really the highest impact/least effort way of achieving the goal? The stragglers were being purged by the hive. We had a list of 15 projects at the end of this process, which we then shortlisted, debated, and applied our acid test to. We ended up with six projects that made the most sense and could be achieved. We now had a strategy and a road map. I asked the room to provide me with a list of all inflight projects. There was almost no overlap between the new projects and the existing ones. Tough decisions would have to be made, but it was theirs to make. Everyone had been through the process across the organizational stack and all had shared in the journey. It was now up to the management and the board to decide what projects would continue and which would be shelved. But they simply could not carry on doing what they were doing. I reminded them of the Steve Jobs anecdote. He often said that his skill was not in selecting the right project, but in shutting down the wrong ones. That is exactly what he did when he rejoined Apple. A week after the workshop, I was asked to come back to the offices. Nearly every existing and “pet” project had made its way onto the maps that were created. All with their associated justifications as to how and why these projects mapped towards meeting the goals. In essence they had reverse engineered the goals onto the map. It was obvious that these projects would not go away and there was way too much emotion attached to them. Having seen this before, I decided to remove emotion from the equation. To do this, I stopped using the language of stopping projects and instead went back to my original question of what would be highest impact with the least effort. Thus the impact quadrant emerged. 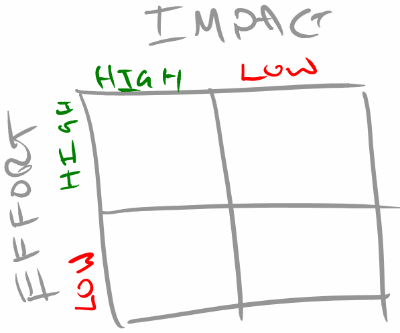 I created a ubiquitous 2x2 quadrant with effort running down the side and impact across the top. It would be an important screening test for the goals we had come up with. We all came to the agreement that any activity that would be low impact/high effort would immediately be canned. Furthermore, any project that was high impact, low effort would be a prime candidate for top priority moving forward. As we went through the project list, those that were a direct result of the impact mapping exercise were all deemed high impact. All those projects that were forced onto the list were not, for the most part. The decider pattern exposed that right away. What ended up happening was that existing projects were almost all redefined to align to the goals. They did not go away, they simply changed to align directly to the goal. All items in the quadrants were prioritized relative to impact and effort. This was a great prioritization tool. It soon found its way alongside the original impact map. Our list of projects was far better prioritized and formed the basis of the project backlog. It would be immature of me to assume that they would stop all existing projects for the newly discovered ones. What I did start seeing was the seeds of change in the language of the room. People spoke in terms of impact and mapping back to goals very often. The constant questioning of impact and goal were now imprinted into the psyche of the team. Impact mapping does not produce magic. In all likelihood, key projects will continue. This process is highly iterative, accept and embrace change to every aspect of the strategy. The thumbs downer is given 2 minutes to state his/her case then a vote. The room iterates until all thumbs are up or to the side. For more information see this. In the eighteen months since the development of the three goals, Al-Wataneya has proudly informed me that they have achieved the second goal: To enforce the MQS application nationwide through Ministry of Insurance and Social Affairs.